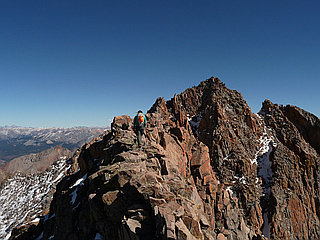 Mount Wilson is a Colorado 14er and the highest in the San Miguel Mountains, a subrange of the San Juan Mountains. 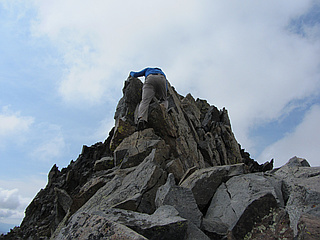 One of the most difficult 14ers to climb; the easiest route is a Class 3 scramble on loose rock. The final, airy moves to the summit give many pause. Its neighbors are 14ers Wilson Peak and sentimental favorite El Diente. 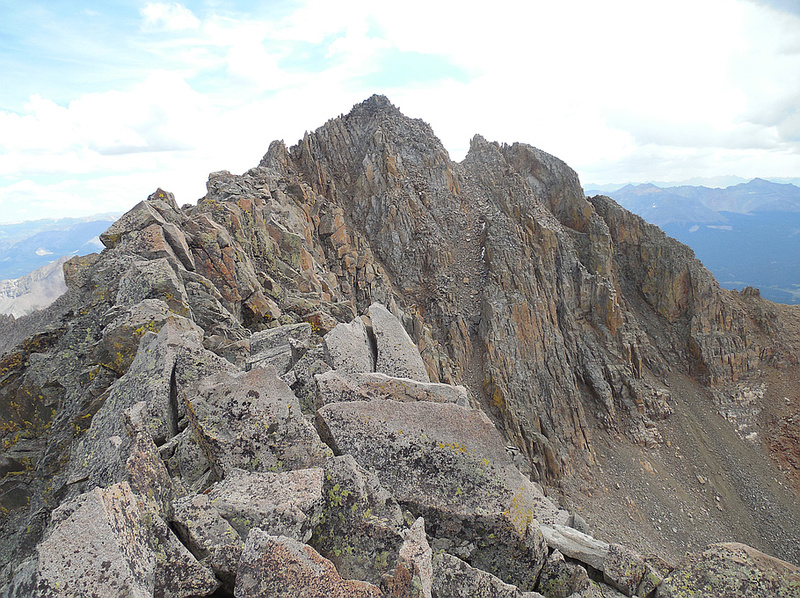 The mile-long ridge traverse between Mount Wilson and El Diente is one of the 4 great Colorado 14er traverses.